This year’s Canjam London was my second, and seemed to be a resounding success. An impressive list of manufacturers signed up, which inspired a large crowd to show up. It was pleasantly busy, without feeling crowded. So I started Saturday off with what, in my opinion, was the highlight of the show: the Smyth Realiser. The Realiser required advanced sign-up, as the technology needs to be calibrated as well as experienced in a secluded room. The Realiser is a fairly new technology designed to recreate the spatial sound coming from a surround sound speaker setup in a particular room. What this basically means, is that the technology allows you to experience sound in a headphone, almost identically as if it were coming from speakers all around and above you. A 3D listening experience if you will, that accomplishes this with an almost scary accuracy. To achieve this experience, the session begins with the insertion of two microphones in the ears. Next, test tones are produced from the speakers to the front and the side, followed by similar measurements with the headphone on. The result is nothing short of spectacular. After calibration, the tones produced in the headphone (a Stax I believe) seem to come from the speakers you can visually see around you. It’s a fully 3D experience, which mimics the tones actually being produced by the speakers, even when coming from above and behind you. When I heard the tones in the headphones, even fully knowing they where being produced in the headphone, I needed to regularly check whether they weren’t actually coming from the speakers – it works that well. Even when you move your head, the sound cues continuously come from the same direction, as a sensor tracks the motion of your head. While the technology’s main application seems to be geared more towards film, gaming, and virtual reality, the realistic and precise recreation was a pure delight for audio enthusiasts. It provides a whole new meaning to the definition of soundstage, especially in terms of external realism. Over the last year, interesting new technologies have emerged for iems. 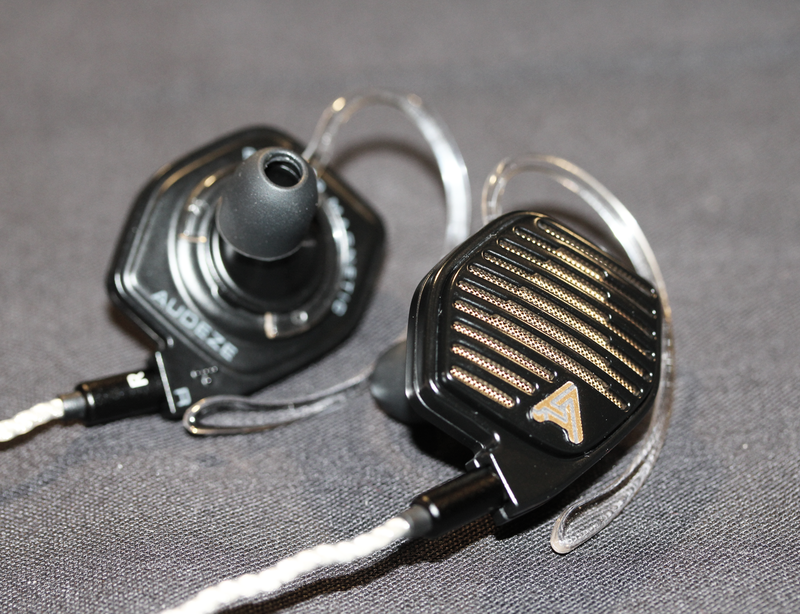 Shure’s KSE1500 has been around for a while, but more recently Audeze added a lineup of planar iems, while 64 Audio introduced TIA technology in their flagships. Starting off with the Audeze i4, an impressive all-rounder that seemed to do a lot right. Its bass is not only punchy with a very nice quantity leaning towards the fun side of things, the mid-bass is highly resolved as well. Truly a quality bass, both in terms of fun and performance. While its midrange and vocals were lightly warm, smooth, and pleasing, the focus of its upper mids seemed geared towards clarity. The treble in turn displayed an extraordinary performance, sounding articulate, detailed, and very quick – an ethereal feel, that felt like it was offering something different than the traditional BA or DD designs. It had a nice touch of sparkle, and sounded very transparent. In addition, its stage felt spacious in all directions, and its separation was excellent. There was a nice body to the sound, without sounding overly thick. As one remark, the tuning of the upper mids gave me the feeling Audeze was making too hard an effort to position it as a neutral tuning, rather than going for a natural signature in line with their house sound. I would have preferred to see if the upper mids were just slightly warmer, to benefit the coherency of the signature. However, as a whole package, the Audeze i4 is an impressive and unique addition to the upper tier iems, combining both a neutral and fun signature with very special treble. Much like the i4, 64 Audio’s TIA Fourte has a unique presentation, which sets it aside from the herd. Its dynamic driven bass bares close resemblance to that of two other top tier dynamic drivers, the RE2000 and Dita Dream. A nice rounded feel, but tight, punchy, and a slight decay. Even so, its quantity was fairly neutral. But the Fourte’s speciality is undoubtedly its stage, and the way it creates its air and space. This is partially due to its open TIA drivers, but also its midrange tuning. By creating a leaner body of vocals, the open and three-dimensional stage feels especially large. In addition, the Fourte’s midrange and treble both sound fast, and highly resolved. The result is a unique listening experience, with excellent separation and definition. The Fourte seems to pair better with the WM1Z than my AK, despite a trade-off of performance for a more even presentation in terms of note and vocal size. When compared to the A18, the A18 has larger bass quantity, and a quicker decay. The A18’s stage is wider, although the Fourte’s is deeper, and accordingly more three-dimensional. In addition, the A18 has more body in its midrange, with more forward and larger vocals. While both have excellent resolution, I would give the edge to the Fourte. In sum, the Fourte provides a more unique, hi-fi experience due to its speed, resolution and stage; nevertheless, some might find the A18’s signature more engaging due to its bass and midrange. In addition, I briefly tested the KSE1500. Shure’s electrostat driver provided possibly the best sub-bass I have heard so far in an iem, being incredibly precise and well-extended, really a bass you can sense driving the rhythm in the background, without ever becoming overpowering. Even so, its overall quantity is fairly neutral, with an emphasis on sub-bass rather than mid-bass. It’s a tight and controlled bass, resulting in a clean stage. However, as a result, the signature isn’t particularly warm, although its timbre was nevertheless fairly accurate. The midrange itself is tuned with a 3 KHz bump, which seems to be a close reflection of the ideal Harmon curve. By specifically bumping the 3 KHz range, it creates a slightly forward but leaner vocal presentation. Personally, I prefer a wider 2-3 KHz bump, resulting in a larger, denser, and what I personally consider, a more engaging vocal reproduction; a tuning that many ‘traditional’ BA flagships opt for. But one might argue that this is preference, shaped by my personal reference points. 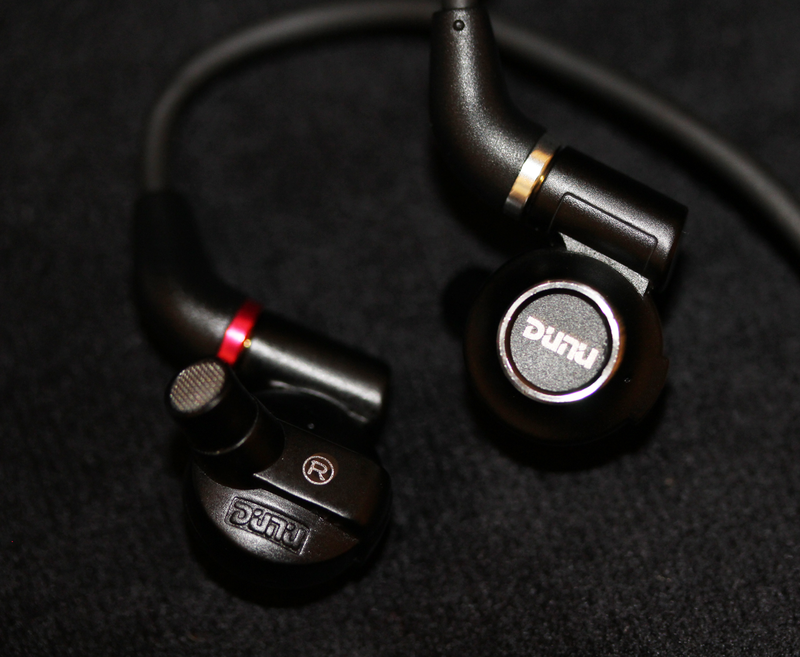 Dunu has established their name by bringing quality sound to a wide audience due to their affordable pricing, and have recently started looking upwards. The DN-2000j provided a high level of detail with a brighter tuning, but their new 3+1 hybrid flagship DK-3001 provides a more serious tuning with nice body in its sound and a fairly neutral signature, as well as a bodied bass down below from its single dynamic driver. The DN-2002 on the other hand is their smoother offering in a 2+2 hybrid configuration, which provides a warmer sound at the cost of some of its transparency and detail compared to the DK-3001. Westone’s new flagship ciem, the ES80, is a precise monitor that creates a clean and highly resolved sound by means of its excellent top-end extension, combined with a smooth and warm albeit somewhat leaner sound. Westone has been always known for their warm and smooth house sound, so I was equally curious to their universal flagship, the W80 that uses similar drivers. The W80 has a beautiful vocal reproduction, full-bodied with a pleasing warm tone. In addition, its low-end provides a nice bit of power and warmth to the signature. Even so, the upper midrange and treble is surprisingly close to neutral with a nice touch of sparkle, rather than being overpowered by the warmth of the bass. While the W80 has an easy-going signature, the upper mid tuning gives the W80 a nice musical touch, and I found it quite enjoyable. Empire Ears brought along a few prototypes, which were variations of a similar driver configuration. The prototype seemed to be tuned with a traditional 1-3 KHz bump in its midrange, providing Empire Ears’ trademark vocal performance reminiscent of Zeus-XIV. Vocals sounded clear with good transparency, while a lift in its treble provided a touch of sparkle, as well as an overall fairly neutral tuning in terms of tone. However, these particular models differentiated themselves from the previous Empire Ears’ lineup by means of their powerful and full-bodied low-end. As a result, the prototype combined a versatile signature, with an engaging low-end. Between the two models, one sounded more neutral and clear, while the other seemed a bit warmer and smoother. Finally, the Beyerdynamic Xelento was a nice surprise as a single dynamic driver combining a natural signature with nice dynamic driven bass. While its bass was punchy with a very nice quantity, the bass never overpowered the signature. The midrange was warm, and seemed to be tuned with an upper mid peak followed by a lower treble dip. It’s a tuning that provides a nice touch of clarity and sparkle, yet with a natural sound. It kind of reminded me of a DD version of Lime Ears Aether. A nice option for a solid all-rounder in this price range, that’s very easy to listen to. Hello! Nice reading. I’m also a neuroscientist and love audio. Do you think hugo2 as a dac is better than Sony nwmw1z also as dac. I know their amp are very different, but I’m searching about their sound quality. Hi David! Well if we look at just the sound, not the fact that the 1Z is a standalone dap and the Hugo 2 a transportable amp/dac that needs input, I prefer the tone of the Hugo 2 over the Sony. 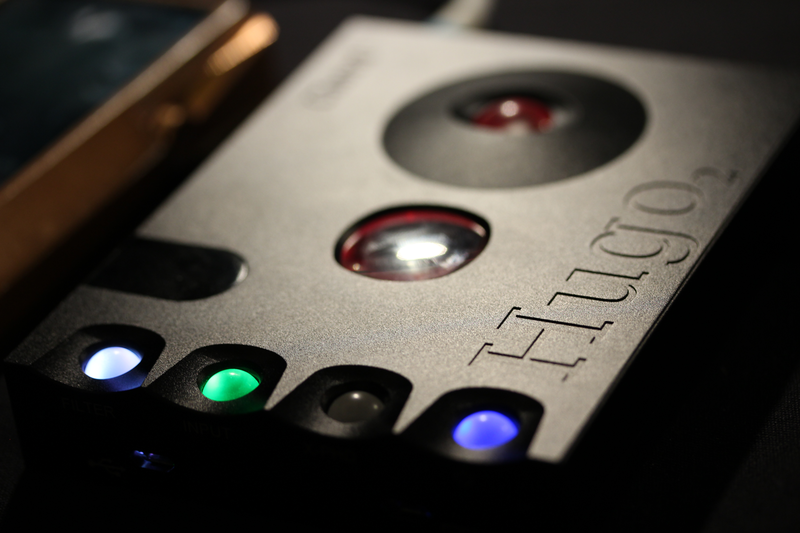 The Hugo 2 is close to neutral, but very melodious and musical. The 1Z on the other hand is decisively warmer and darker, with laid-back treble. It’s also a very mature, audiophile tuning, and works especially well with brighter iems/Hps, making them sound more accurate in timbre. How do you compare SP1000 SS to Hugo 2? Which one do you find more musical and fun to listen to? Personally, I found the Hugo 2 to have the more pleasing tone, and being the more musical of the two. I listened to them both twice briefly, and the Hugo 2 immediately impressed, where I struggled with the SP1000. It sounded powerful and resolved, but didn’t come across as completely coherent to me. good to hear your impressions of the Beyer xelento. \.I have the AK version: t8ie mkii….got ’em for us$585 shipped..
.looking forward to them when I receive them. Hope you enjoy them, the Xelento was very nice! beyerdynamic, campfire vega-lyra 2 and the dita answer truth or dream…thoughts of how they differ? The Xelento is an easy-going, lightly warm and natural sound. Vega is all about big sub-bass impact, and the full sound resulting from the overall enhanced sound; a thick sound. Dream on the other hand is the analytic, highly detailed one. So these three are pretty different. Haven’t heard the others. cool thanks and keep up the great work!